Our company is founded in 2004. A primary activity of firm - installation of equipment for refrigerators and vegetable storehouses. During existence of the enterprise our representatives repeatedly went abroad for the purpose of professional development and exchange of experience on storage and coolings of different types of production with leading experts of this branch. Our enterprise created own program of monitoring and management of process of storage of vegetable production, by nothing inferior the functionality to foreign analogs. But several times economically it is also financially favorable on acquisition because it is our own development and has no intermediaries between the developer and the consumer, and it is also completely adapted to our control system and control. It allows to fix quickly the problems arising during storage of production. Having got rather wide experience during work in the sphere of rendering of services on storage of root crops, cabbage, onions, we can note with confidence that the product of our storage is economic today. Since 2005 we made about 20 vegetable storehouses to which our last developments on installation of equipment and the software were applied. Results of storage of onions - the period of storage of 10 months (September - July). Natural losses on shrinkage made 7%, germination - 1%. Power expenses - 80000 kW / 1000 tons. Our system of energy saving due to application of the intellectual program of own development, considers conditions of environment and the maximum use for maintenance of necessary parameters in a left-luggage office of vegetables. Thus reduction of expenses due to shutdown of compressors (artificial cold) is made. Also will be applied by us the equipment with high refrigerating efficiency of the Bitzer firms (Germany) and Dorin (Italy) working at electronic TRV that allows to reduce shrinkage of a product considerably. Are applied to system of ventilation about the pneumopumps of production of EbmPapst firm having very low energy consumption and several speeds allowing after input of system in the mode of storage of a product to reduce energy consumption by 30%. We are rather young enterprise, but nevertheless, we involve the best young specialists in the field of ventilation, programming, heating engineers thanks to whom we have a possibility of the differentiated approach to everyone an objective of the customer, proceeding from his technical requirements and budgetary funds. If at you arises to this offer, we will try to organize departure of interested persons on the operating objects for acquaintance with our technologies. 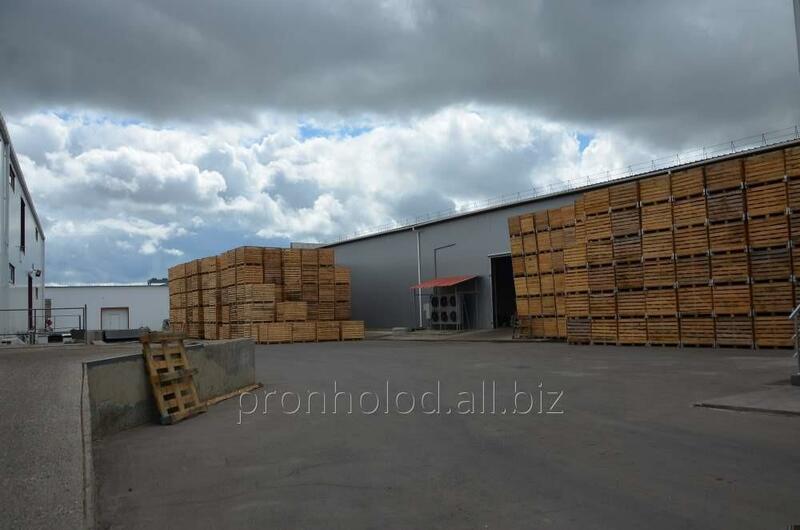 Unbelievable price on Turnkey vegetable storehouses in Nikolaev (Ukraine) company Pron V.V., ChP.